-The trophy is presented annually to an IAC aerobatic judge for outstanding performance as a judge in competition aerobatics. 2018: Mike Gallaway Mike has been a long time judge in the Dallas area, a long time Civa judge, and has chiefed many contests internationally and within the United States regionally. He has an outstanding performance as an aerobatic judge, not only in 2017, but in many past years. 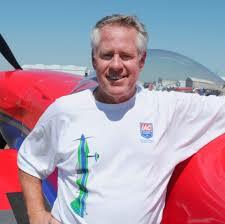 2015: Bill Denton Bill has been actively involved in the sport of competitive aerobatics for over 30 years. 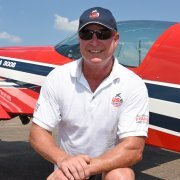 He has been a top judge for several years at the US National Aerobatic Championships and has judged at the World Championship Contests. 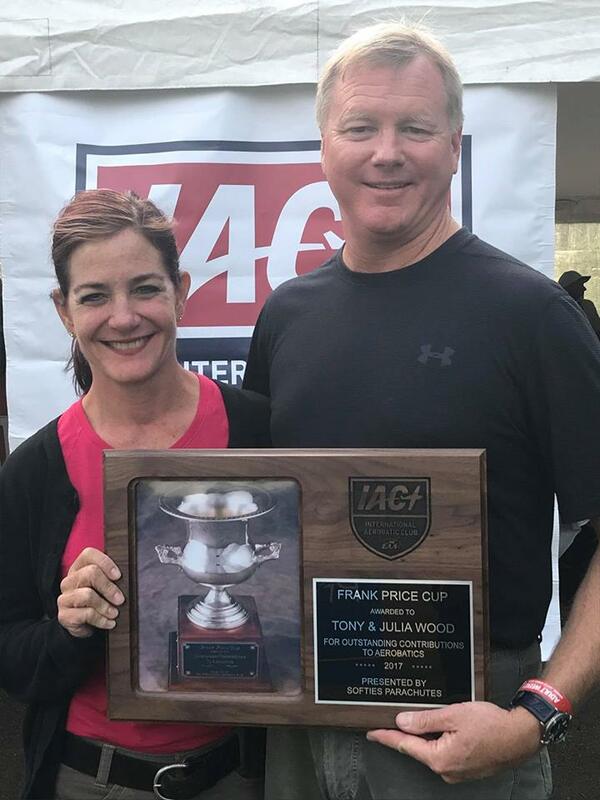 Tony and Julia Wood This dynamic duo has done more than most to help reinvigorate the sport of competition aerobatics within the South Central Region not only in 2017 but throughout the last 15 years. Both Tony and Julia have been active competitors and judges. Tony competed at multiple contests including his last apperance at Nationals in 2015 in the Unlimited category. Julia worked her way up the ladder through to the Advanced category. The power couple started an IAC chapter at Weatherford, Oklahoma and ran several chapter regional contests at Weatherford, even after they moved away to Slidell, Texas. Both Tony and Julia have served as officers for one of the Texas chapters, IAC Chapter 24. Julia has served as a contest director for US Nationals and was the U.S. Advanced team manager at one time. Tony is an instructor for the judging schools and taught an excellent and well attended class in 2017 for IAC chapter 119.